The Trump administration is set to send expanded guidance to the Pentagon in the coming days on how to implement its new ban on transgender people serving in the military, according to the Wall Street Journal. The new directives would allow for Defense Secretary James Mattis to consider a service member's ability to deploy in deciding whether to remove them from the military or not. The Journal, citing U.S. officials familiar with a White House memo, says the document also directs the Pentagon to deny admittance to transgender individuals and to stop spending on medical treatment regimens for those currently serving. 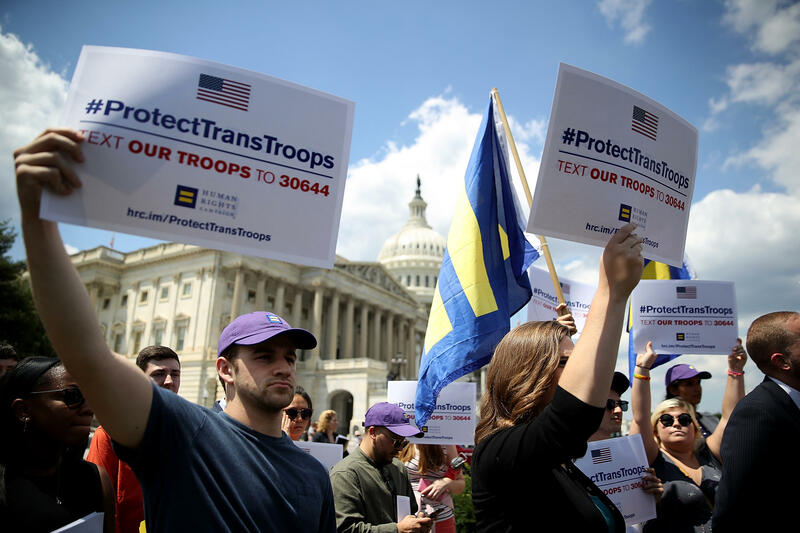 The revised policy came in the form of a series of tweets from President Trump in July, declaring that transgender people will not be allowed to serve in "any capacity" in the United States military. Mr. Trump announced the new policy after what he called "consultation with my generals and military experts." White House Press Secretary Sarah Huckabee Sanders did not offer any clear details to the latest developments. Obama's reversal of the ban mandated that the military had until July 1, 2017, to develop new policies to allow people already identifying as transgender to join the military if they met the variety of physical and medical standards necessary to enlist. Under guidance from the new memo, Mattis would be allotted six months to prepare to implement the new ban, according to officials.